The streets of Mission offers a variety of entertainment. (photo: Aaron Wojack). 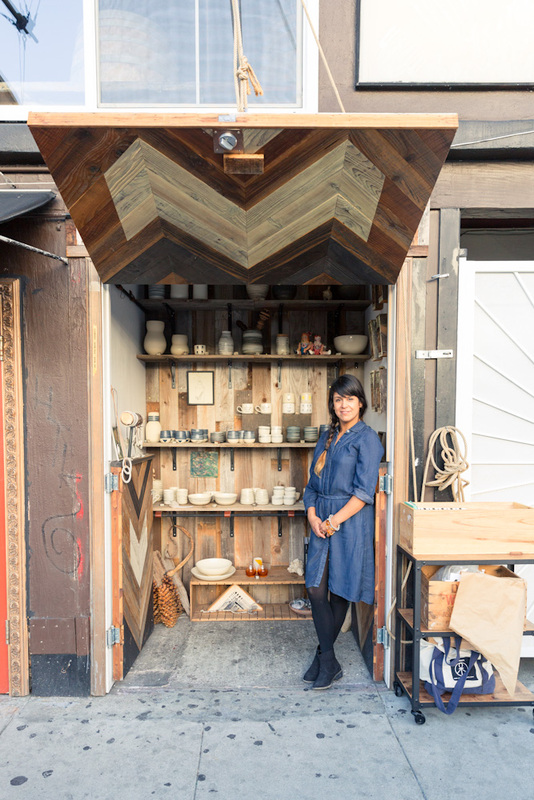 An artist from The Mission displaying her work for sale (photo: Aaron Wojack). 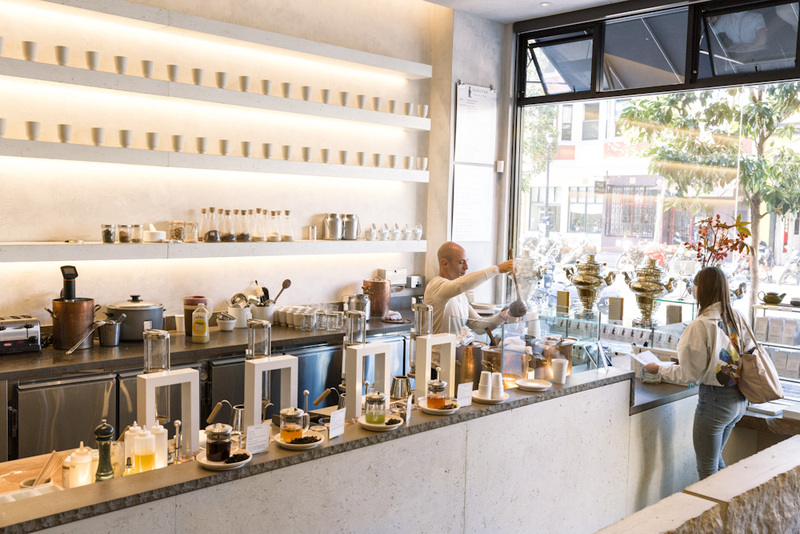 The Mission's Samovar Tea Bar is a must visit for tea lovers (photo: Aaron Wojack). 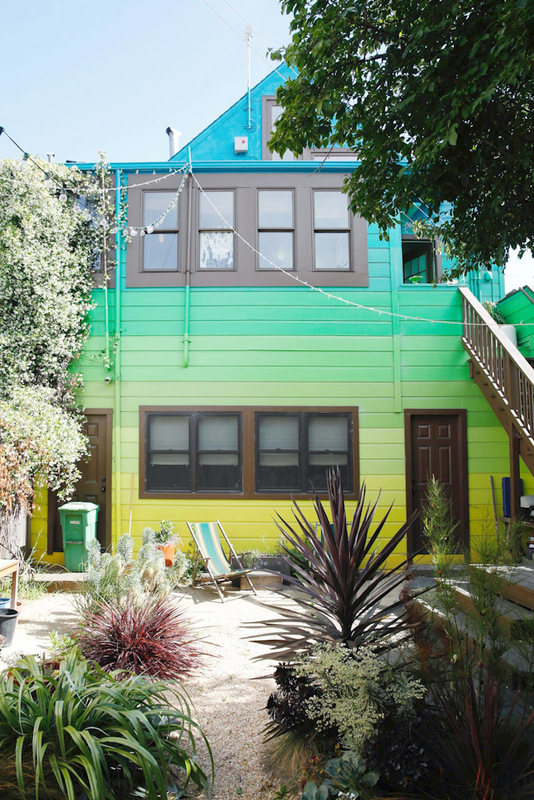 Colourful exterior of a house available to rent in The Mission through Airbnb (photo: Leslie Santarina). A look inside one of the homes available to rent in The Mission through Airbnb (photo: Leslie Santarina). 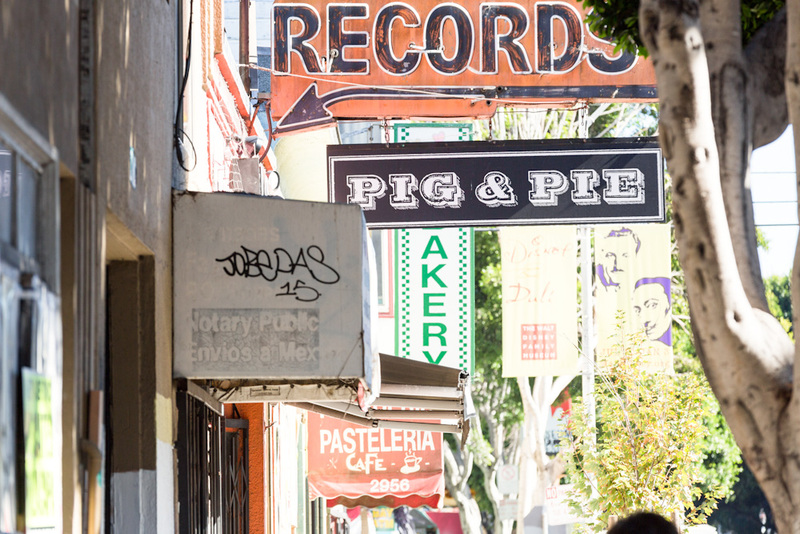 The Mission is synonymous with hipsters, dot-com start-ups, cheap eats and a longstanding Latino community, it is San Francisco’s oldest neighbourhood and is a mix of grit and colour. Alissa Jenkins checks out the city with the largest concentration of murals and gets insiders tips from her Airbnb host, Windy Chien. Windy Chien moved to The Mission in 1989 when the city was mostly filled with freaks, punks and artists, and she loves that the city is still a haven for free-thinkers. Not only is the food at this mellow neighbourhood restaurant consistently flawless, the wines are on another level. The secret here, though, is the burger; it’s not listed on the menu but is always available, has pungent cheese baked into the beef, and onion jam that can rival any ketchup. This cafe predates the tech boom by decades, and it’s still a neighbourhood standard. You can bring your dog, lounge on the sunny patio, make use of the free wi-fi, and indulge in the scrumptious beet loaf – a hearty vegetarian sandwich you’d swear is actual meatloaf. The Ferry Building Farmers Market in the Financial District gets all the yuppie love, but this up-and-coming farmers’ market in The Mission is much easier to get to and less of a scene. On Thursdays from 4pm to 8pm, you can pick up in-season produce, baked goods, meats, seafood and an entire smorgasbord of food-truck delights. It’s only one block long and is right near the hipster hub of Valencia Street. Once owned and operated by Windy herself, this Valencia Street record shop prides itself on finding the most obscure, under-appreciated gems throughout music’s history from Ethiopian jazz to Norwegian black metal, German techno to Brazilian Tropicalia. This is such a special place for all types of music lovers. This new-school patisserie, whose baked goods have the most unexpected combinations, elevates the humble muffin into a cult creation. The Rebel Within, for instance, is a savoury cheese-and-sausage breakfast muffin with a perfectly gooey, soft-boiled egg inside. In ye olden days, San Francisco fragrance obsessives had to brave the horrors of the downtown shopping district to get non-mainstream perfumes at Barney’s. Today, Tigerlily Perfumery on Valencia sources from emerging niche perfume houses all over the globe, so you can be personally matched with the right scent. Some say that The Mission has been somewhat of a fashion wasteland in past, but Anaïse bucks the trend as a tasteful, adventurous boutique carrying designer labels like Electric Feathers, Chalayan, Vanessa Bruno, Rachel Comey and more. And, being so forward-thinking, there are items that suit all body shapes and sizes. This is one of the first, and still one of the best, fine-dining spots in The Mission. They do everything right, offering upscale food with especially friendly service. If you don’t have a reservation, the secret is to go right when they open at 11am for a table, and have a Persian Bloody Mary for brunch in their sunny courtyard. This is the only ‘molecular’ restaurant in The Mission, but it’s hands-down one of the best places for consistently delicious fare, combining the weird, the wonderful and the thoughtful. Free potato chips with balsamic foam are a highlight, in place of bread and butter. Neighbourhood stalwart Lost Weekend Video was already a friendly place for creative misfits to hang out, then they converted their little basement into a venue for offbeat films. But no one could have predicted how popular and influential their (literally) underground live stand-up comedy shows would become. This is the place for up-and-coming comics to build followings and famous comics to perform one-offs. On the last Friday of each month is a regular event here called High Brow, where both audience and performers get high. Laughs ensue. Our host, Windy’s home is a gorgeous Victorian built before the city’s infamous 1906 earthquake, it has not only stood the test of time, but illuminates the street with its vibrant exterior in a gradient of azure blue to lime then canary yellow. Inside, the décor is much more pared back – a light, expansive space with hardwood floors, flavoured with colourful art, Moroccan poufs and pot plants. 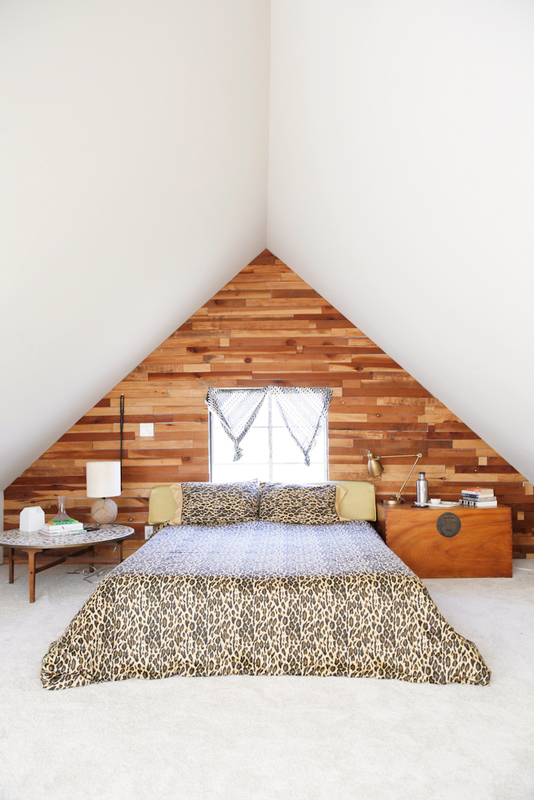 It’s a chic combination that has earned the praise of several interior design publications. With one guest room available only when the host is out of town (her bedroom is not available to book), you also get the entire house to yourself, including the leafy backyard.